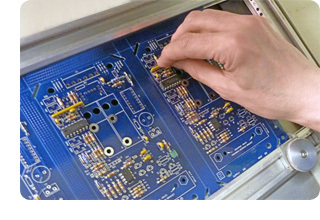 Services: Overview - Colonial Electronic Manufacturers, Inc.
Colonial Electronic Manufacturers, Inc. is a full service Electronics Manufacturing Services (EMS) company specializing in PCB assembly, RF Assembly/Testing, and Rework/ ECO services. Simplify your product delivery process. Let us allow you to concentrate on the parts of the process that require your expertise like design, innovation and market requirements. CEM provides OEMs with a broad range of services, including a formal New Product Introduction (NPI) process that allows us to demonstrate our expertise in recommending the best and most cost efficient manufacturing process for your assembly. We include a Design for Manufacturing (DFM) report with recommendations for improvement and cost savings when possible. We pride ourselves on becoming a value added partner who seamlessly integrates into your process and gives you the market advantage you deserve. Know that once you engage CEM, your final product or sub-assembly will be quality built and delivered on time. If you have any special needs, just ask and we will work with you to find the optimal solution for you.